Happy Thorsday, little friday, thankful thursday and my last regular general membership meeting as President of the JLC! It’s also almost Kids in the Kitchen time, and long-time readers know I love that event. I love snow too, but enough is enough. I shared my thoughts – and a photo of the furgirls – on their blog. I’m ready for flowers and being able to step into the parking lot at work without needing to bundle up. I’m grateful for each and every one of you. Your support and friendship is a blessing in my life, and I look forward to having the time to repay your kindness very soon. In the meantime, can we call the leaves compost and pretend I’m making sure the Boy-dogs’ garden is getting ready to grow beautiful flowers? Will you share what you’re pretending? Locally, the weather definitely got the memo that fall is moving in officially this weekend. 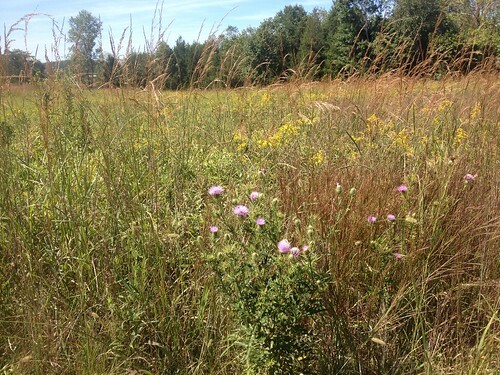 Here are some shots from last weekend’s walks. 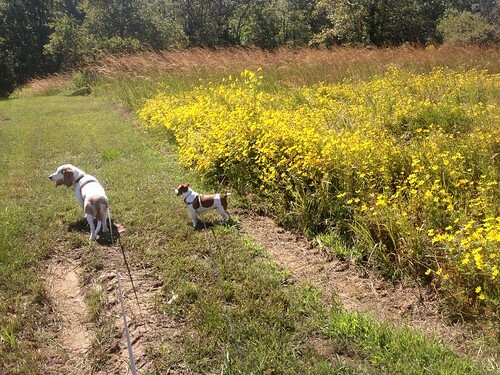 The older I get, the more I appreciate wild flowers, but the fur-girls were more interested in the horses… or something in the pasture. I’m also developing a leopard print problem. If animal prints are the new neutrals, is there an overboard point? Yesterday, my computer had a six-hour flu. Thankfully, Uncle’s wife is an IT girl extraordinaire and she was able hack past the virus to run the appropriate scan and restore order. I’d brought in my iPad… just in case. I completely drained my iPhone battery trying to keep up with a couple of new developments in League business. I’m very sorry I failed to wish my Canadian pals a happy day on Monday. Canada is a great neighbor, and I’ve always enjoyed celebrating with them on July 1! Who has exciting plans for the 4th? 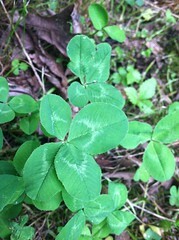 The Knight has a knack for finding 4-leaf clovers. I can’t tell you how many he has pressed in his wallet, or how many more are lurking in drawers and such around the house. So when he told me there were SEVERAL at our back door, I rolled my eyes… and went to look. Generally, I can’t find them even when he points them out, but I was able to pluck one all by myself before he weed-eated (?!) them away. More sprang back up right away, so the other day, I decided to see if we had a little shamrock patch, and it would seem so. 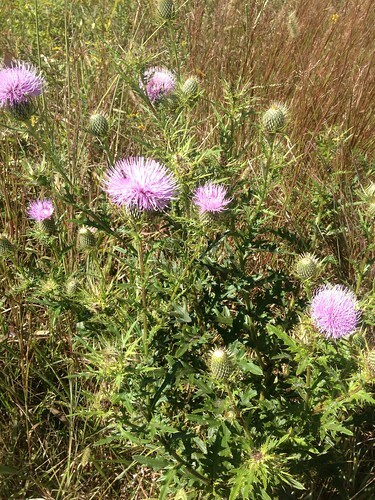 I want to be clear… these are two different clumps of specialness. They’re within a couple of feet of each other though. 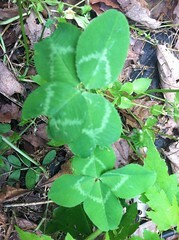 Do you have an eye for finding 4-leaf clovers? The Knight insists they look so different they’re easy to spot. I don’t know about that; I used to think I was good at those “find what’s different” pair of images featured in so many children’s magazines and such, but I just don’t know anymore! Maybe Haddon Woods needs to be re-named Shamrock Woods? 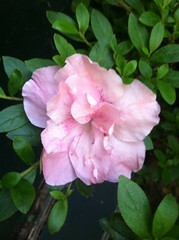 And just because it’s pretty and was RIGHT THERE with the good luckers, my favorite azalea. It’s still kinda’ small; it doesn’t quite get enough sunlight and like everything flora in the woods, it has to endure the deer and their snacking damage. 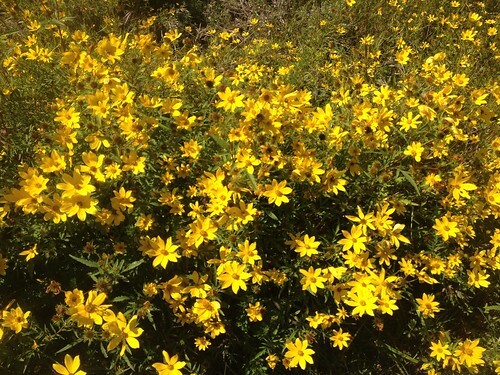 What’s growing and blooming in your world? Edited to add: Thanks, Nancy! 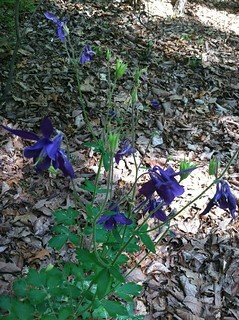 It is indeed columbine, and in fact, this photo is identical. Wonder if my neighbor would mind if I dug up a couple of plants for my house? In the as Chan tries to clothe herself saga, the beige blouse I own is an epic fail, the PANK blouse I bought yesterday is even worse, and a sequined pewter tank I own might could work if I decide I’m up to doing sparkles and lace in the same outfit. Right now, I’m thinking I’m going to just go with the dress I bought to wear for the dinner weeks ago. Right? There’s nothing wrong with that, is there? It’s not ubber fancy, but it’s pretty, happy, comfortable… and in my closet ready to go. In fact, it may be machine washable. After wearing “winter clothes” on Monday, it’s supposed to be near 90 today. Crazy weather. What has you puzzled today? 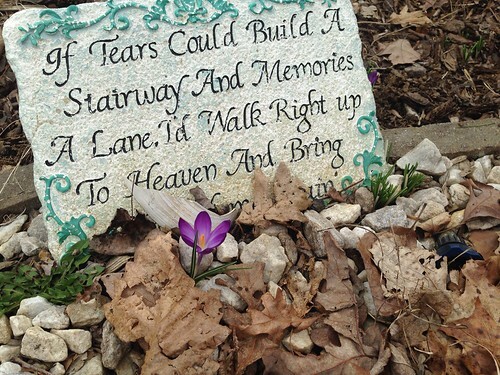 … and the dearly departed boy-dogs remembered me on Mother’s Day. 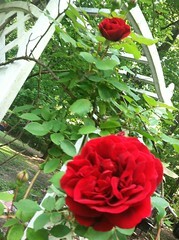 Mugsy’s red roses are in blooming overdrive. Like most of our landscaping, the roses were neglected and not pruned over the winter, but they seem quite happy in their wild, neglected state. 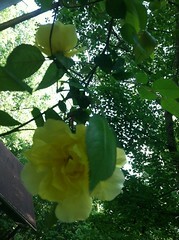 It really made my day to see the roses open up right at Mother’s Day. No coincidence, to be sure. Fred’s yellow roses aren’t as happy or as prolific as Mugsy’s blooms, but that’s kinda’ appropriate, as Fred was generally more reserved than his alpha, older, terrier brother. They’re both still very pretty, sweet-smelling flowers. If you are a mom, I hope you had a wonderful Mother’s Day. As soon as the snow melted last week, these beauties were showing off for us. 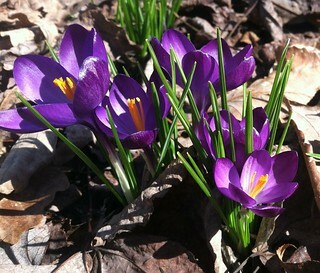 I don’t recall planting a single crocus bulb, but the prolific purples have spread like wildfire. Some years there’s a white one or two, but this year, I didn’t see any. The purple may have choked them out! 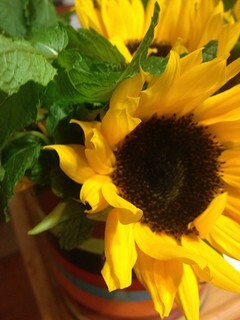 Thanks Hooey, for the flowers. (Yes, all of my dogs have a host of nicknames!) Do you have blooms yet?